Representatives of the Ligue 1 club tested the water with the Hoops during last weekend’s visit to Glasgow for their friendly with Rangers. Celtic value the 21-year-old Frenchman at significantly more than £20m and will not sell him before the end of the Champions League qualifiers. But Marseille’s interest could give Parkhead chiefs the opportunity to spark an auction with other suitors in England and Italy such as Everton and AC Milan. 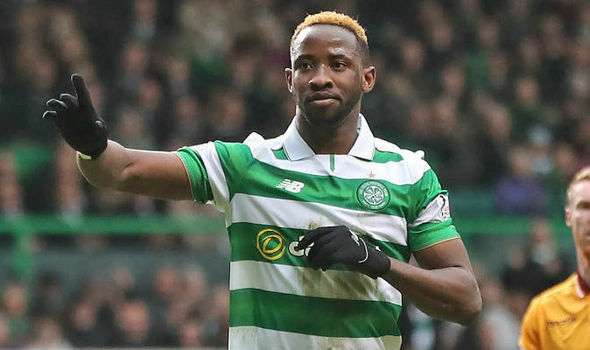 Although Celtic don’t need to sell Dembele – and the player himself has not been angling for a move – there is a growing feeling that a departure before the transfer window closes on August 31 is inevitable. Dembele started his career in France with PSG before moving to Fulham and then on to Celtic last year for a £500,000 development fee. Now the man who scored 32 goals in 49 outings for the treble winners could be ready for a return home. Already on the fringes of the French national team, Dembele is desperate to make the breakthrough at full level and a move to Marseille would help his cause. Dembele already boasts four goals in six appearances at Under-21 level for his national side. Marseille finished fifth in Ligue 1 last season and have a shortlist of three striker targets for next season including the Celtic star. Manager Rudi Garcia, below, is also keen on AC Milan’s Carlos Bacca and Fiorentina’s Nikola Kalinic, but Dembele would be his first-choice option if the Hoops accept their £20m valuation. If Celtic do decide to sell, they have time to plan for a replacement, with manager Brendan Rodgers well aware he must have a new man lined up who can immediately step into Dembele’s boots. Rodgers also remains in the hunt for a centre-half and a second striker ahead of a treble defence and European campaign.